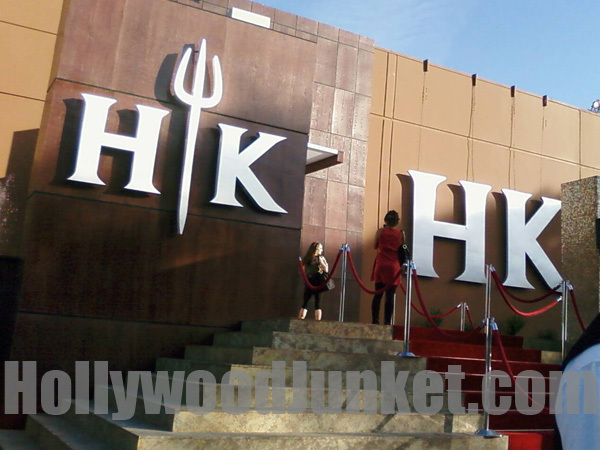 HOLLYWOOD JUNKET attended a recent fine dining experience under the superb cooking of Chef Gordon Ramsay as FOX’S “Hell’s Kitchen” enters it’s seventh season (only four have been aired) of filming. Season five starts January 29th. The contestants will be competing for a “head chef” position at Borgata Hotel Casino and Spa in Atlantic City. If you’ve ever watched the show, you’ll understand when I say, our dinner party was very lucky to have gotten through our entrees. No desert though. After about two hours of dinner service, Chef Ramsay was fed-up enough to shut the kitchen down. Cant’ reveal too much about this experience due to confidentially agreements, but our meals included a rack of lamb, halibut, scallops, and sea bass. All, except two of us were completely happy with the dishes. Our total time spent there on the premises (including wait time before we entered the restaurant) was four hours. Not bad for a television production that included free fine dining. Best of all, we had a very handsome, very blond, and very stout Chef spouting angry obscenities in the near distance. Ahh, until we meet again Chef Gordon Ramsay!! Can’t wait!